Hi! 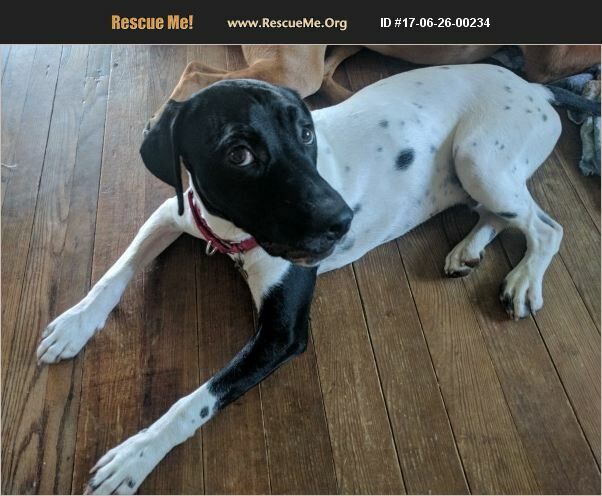 My name is Gus and I am an 8-month-old Pointer mix. I love to play and have lots of energy, so I would do best in an active home -- one with another dog I could run around and play with all day long would be so much fun, but that certainly doesn't have to be a requirement! I'm such a friendly guy, I love watching and greeting everyone who walks by the house, so a standard fence would be best for me. I also like cats and kids, but would probably do best in a home with children 8 years and older, who are able to keep up with me! I currently weight 40 pounds, but with a little bit of growing left to do, my foster mom says I could reach 50 pounds. Did I mention that I am the biggest cuddler you will ever meet?! I would love to curl up in your lap and give you kisses! I can't wait to meet you! I'm neutered and UTD on all my vaccines, HW, FT, and have a microchip of my own. RPSM recommends children 8 years and older. I will require a physical fence to keep me safe. If you are interested in adopting me, please go to www.rpsm.org to fill out an application. My adoption fee is $300.